Out of class early? Bored with nothing to do? 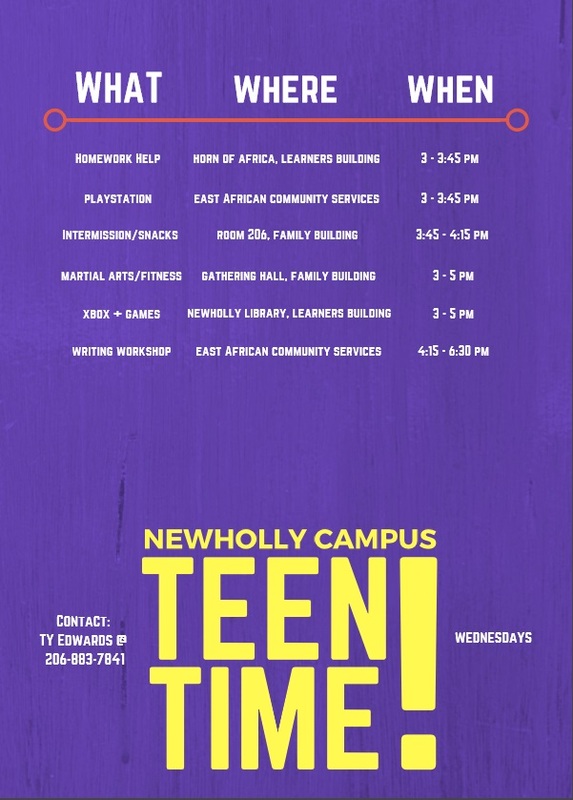 Join us on early-release Wednesdays at the NewHolly Campus for Teen Time from 3-5 pm! (Middle school and high schoolers only. ) This is your time and space to hang out with your friends, play video games, board games, workout, do crafts, or just listen to music and chill. Food and drinks happen during Intermission in the Family Building Room 206. 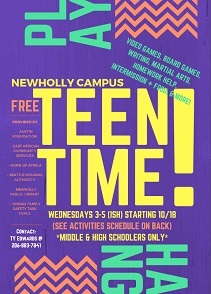 This program is FREE and open to everyone as long as you’re in middle school/high school!